I confess that I wrote this years ago for an earlier website, but since it’s all looking backwards, it still holds true. “Personal History, Part II” is still being written, and won’t be finished for a long time, I hope. And yes, that’s me in the photo, taken for my green card…. My parents would have been an odd pairing in any place and time, but they were particularly mismatched in Argentina in the 1950s. My father was a Jewish engineer, son of a doctor with a number of doctors, rabbis, and ranchers in his background. They were well-off; when he was young they lived on the upper floors of a four-story building his father owned, on the roof of which lived my dad’s pet goat. He was a competitive swimmer and concert pianist in his teens–activities that pleased his folks–but once in college he gave all that up and devoted himself to engineering. He worked through his seventies, eventually teaching engineering at a local college where he was also a dean. One of my uncles was the first Jewish gaucho in Argentina. Another was a lifelong bigamist. My father sat by Che Guevara in college and went on to vote Republican most of his life. Once her parents sent her to a convent. The nuns sent her back in short order. In her teens she was briefly in the local Hitlerjügend, but somehow went on to marry a Jew. 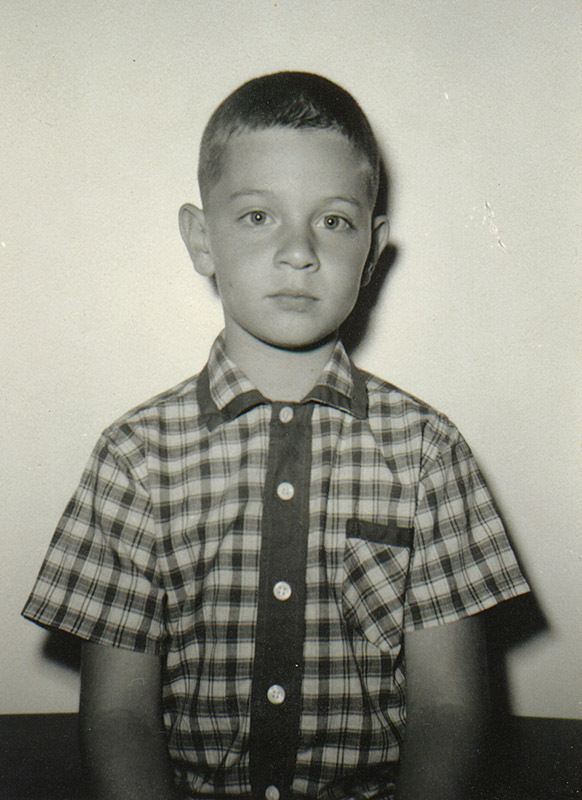 Out of these two peculiarly rebellious persons I was born, in Córdoba, Argentina, in 1953. Argentina at that time was under one of its all-too-typical oligarchical dictatorships. The economy was, as usual, in shambles, and anti-Semitism rampant. Though he had graduated with some of the highest marks recorded in the Universidad Nacional, he could find only part-time work in his field, because, as they openly told him, “We don’t hire Jews here.” He didn’t get along with his own family too well either (he does claim his father-in-law as the best friend he ever had in his life), so he finally gave up on the old country, looked through almanacs till he found a city in the US with the same climate as Córdoba, and moved us to Los Angeles. My mother was then as she remained till she died: a vain, short-tempered woman with no tolerance for boredom; the flight, in those days, was thirty-six hours with numerous stops. Not to be forgotten is the presence of yours truly at two and a half years old…somehow my father survived the trip. The marriage itself did not survive the burdens of my mother’s vanity, though it lasted some twelve years after our arrival in the US. Later came bicycles (still a great part of my life) and motorcycles (now left behind), but underpinning it all was my love for reading and, from the age of seventeen or thereabouts, writing. My interest in writing sprang almost instantly from the simplest of circumstances: my twelfth-grade English teacher was a bitter alcoholic who fell down the stairs at home and broke her leg; the substitute who finished out the semester was a young, fresh-faced, very pretty redhead named Miss Nye. She did something none of my English teachers up to that point had done, and gave out a “creative writing” assignment. Despite my obsessive love of reading, I’d never thought to give writing a try until then. I was primarily interested in science, especially astronomy, in my early teens. But I went ahead and wrote a somewhat overly-adjectival paragraph about a seagull, which Miss Nye approved of–with reservations. And so my world changed. Since then I have continued to explore both life itself and the techniques for sharing the experiences of our days among each other…writing, photography, graphics, and the melding of them all in print or online, be it for the sake of art, community, or commerce. What grace I have in these endeavors I offer up to friends and clients in hopes of making a better and more just and prosperous world. How well I do it is something I leave up to you to judge.